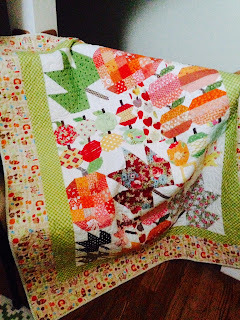 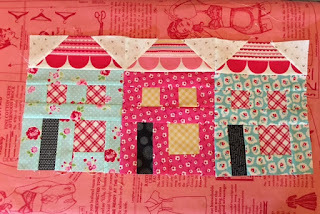 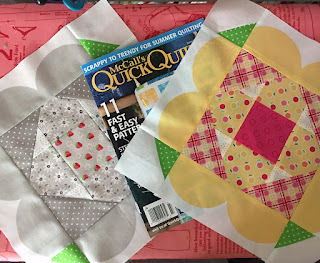 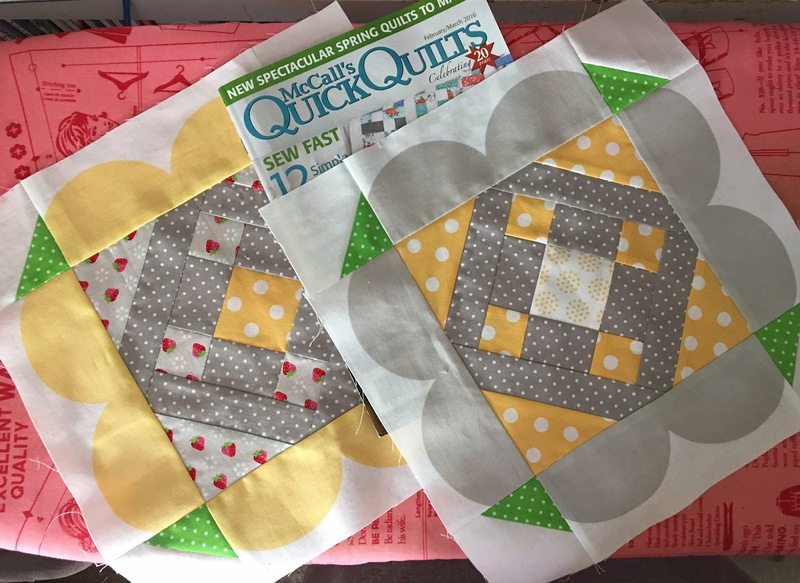 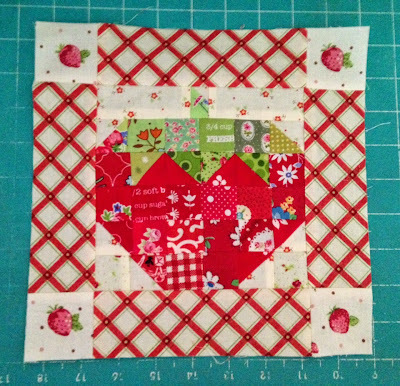 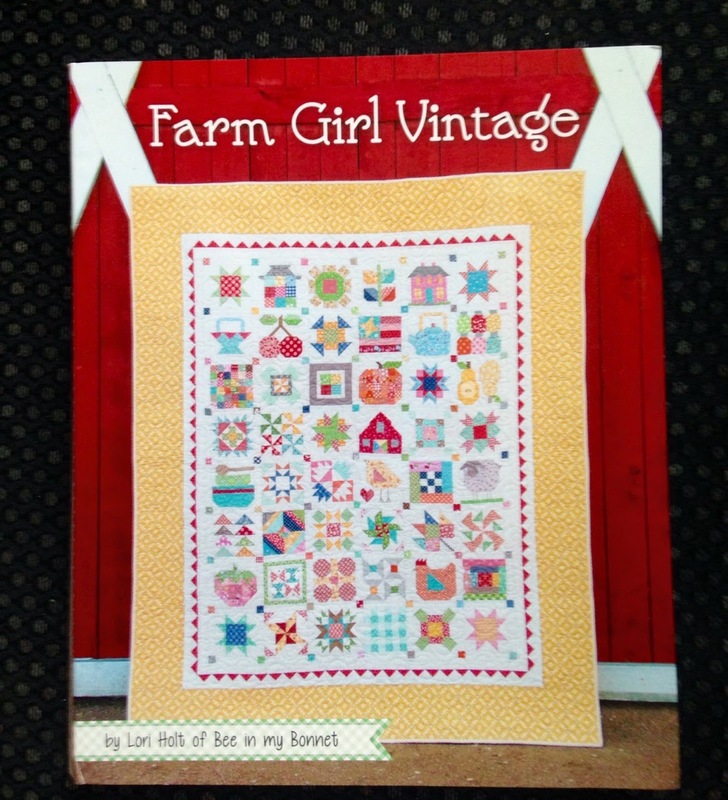 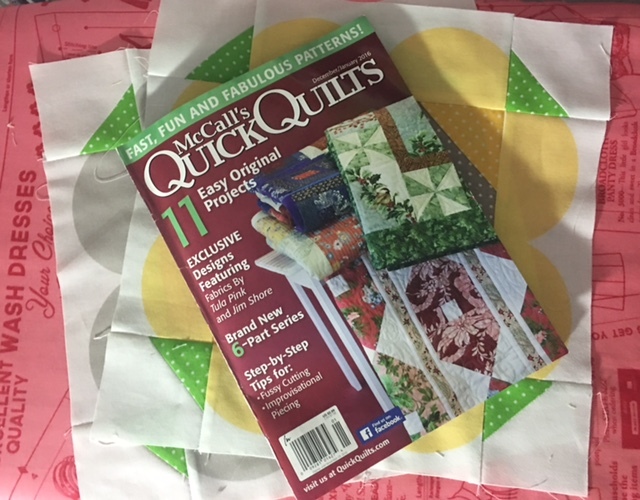 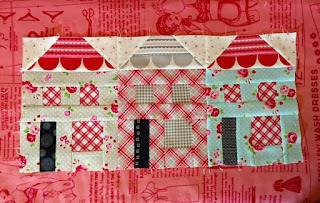 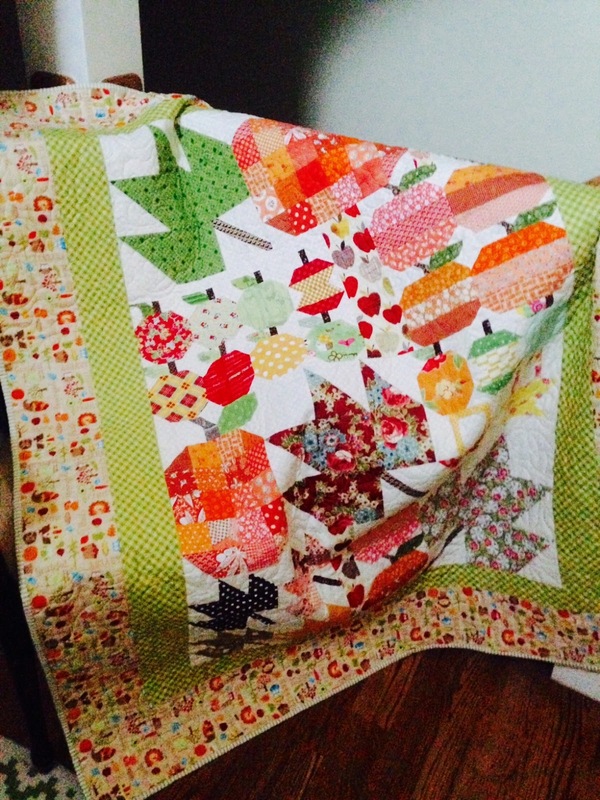 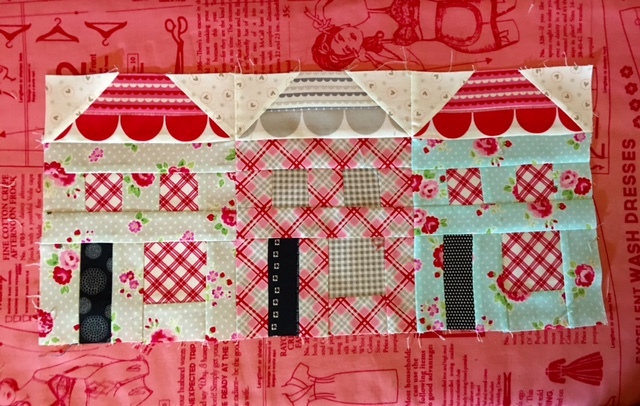 I've been making fun blocks with Holly Holderman's Two by Two quilt project through McCall's Quick Quilts. 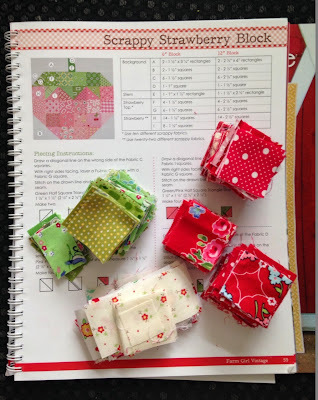 Previously I blogged about my Jan/Feb first blocks. 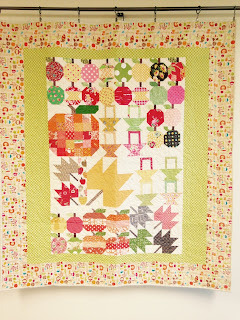 Sew far I've made 8 blocks in the series. 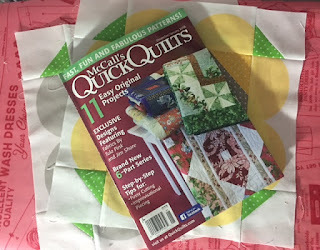 It isn't too late to get started. 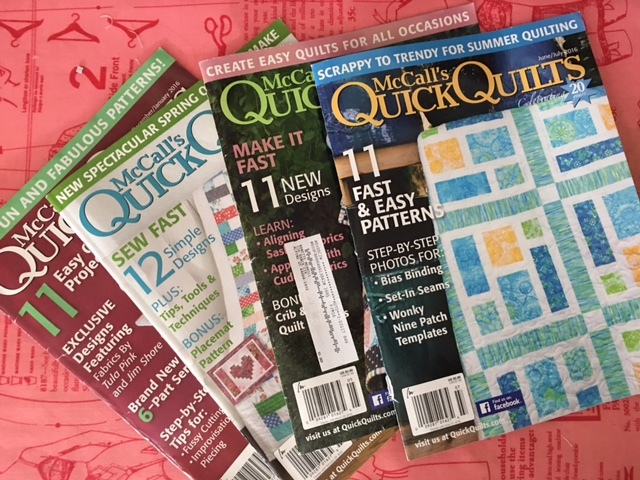 The magazine is inexpensive and the project is fun and fast. 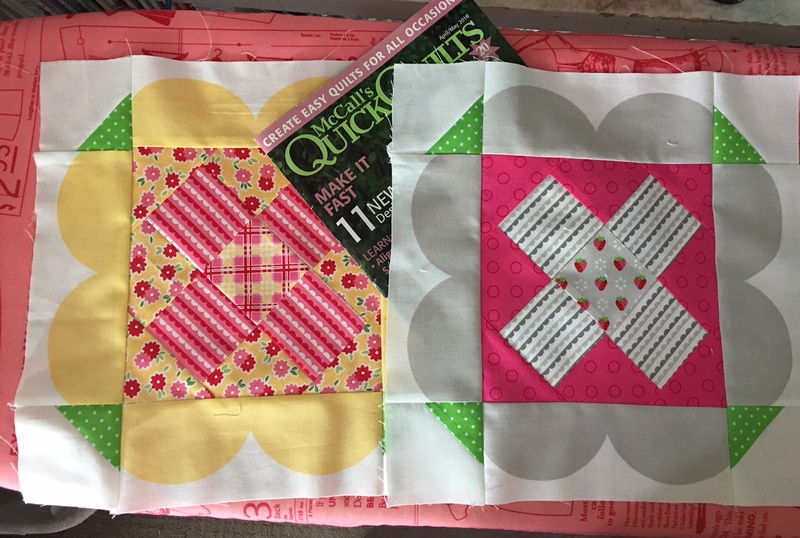 These are my April/May blocks. 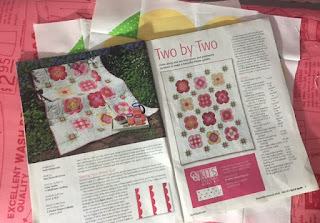 And these latest two are from June/July. Yes the June/July publication is on sale. 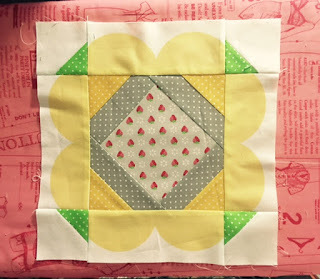 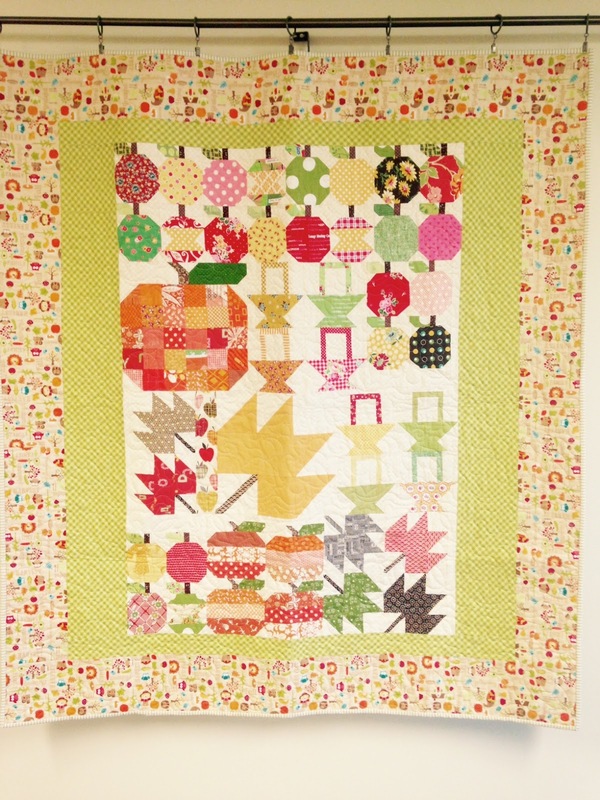 My blocks are all kind of yellow/cherry pink/Gray combinations with the accent of green for the leaves. 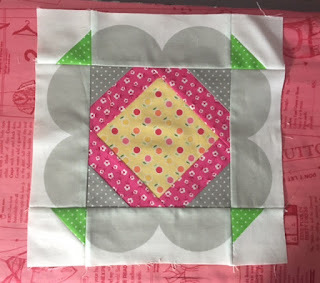 I'm good at keeping up sewing my blocks but not very good at posting them. 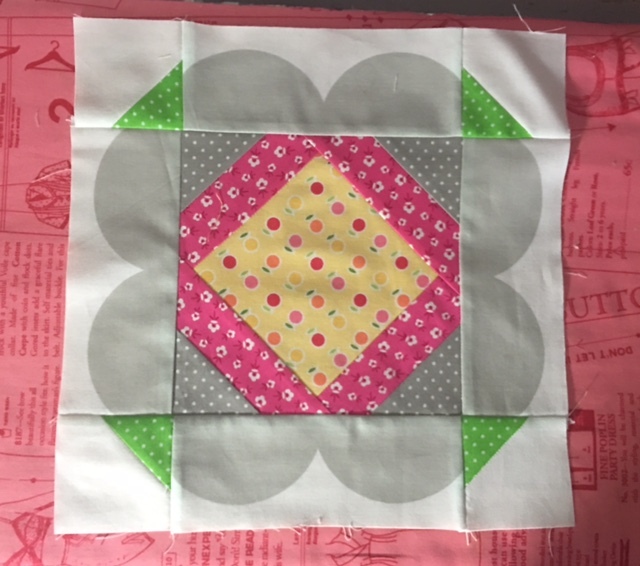 I love working with the scallop design and I've been using the scallop in several quilts. 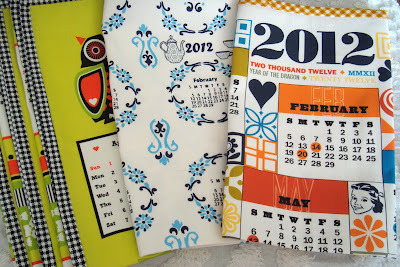 Speaking of, I need to post those!